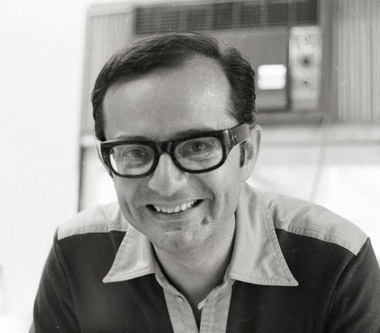 Jiří Václav Neustupný (1933-2015) studied Japanese and History of the Far East at the Faculty of Philology, Charles University, Prague, Czechoslovakia. In 1964 he obtained CSc. (Ph.D.) from the Oriental Institute of the Czechoslovak Academy of Sciences and started to work there as a research fellow. He became professor of Japanese at Monash University, Australia, in 1966. 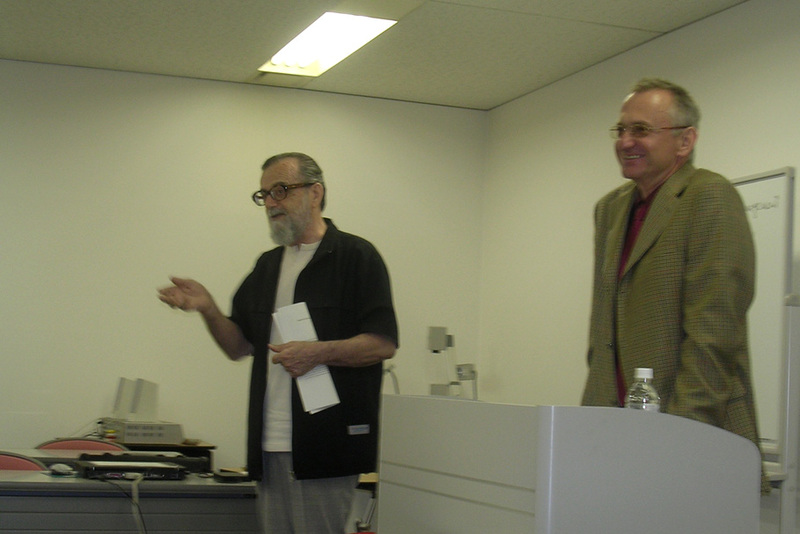 After his retirement from Monash in 1993 he lectured in Japan at the universities in Osaka, Chiba and Obirin. Together with Björn Jernudd, he is a founder of the Language Management Theory. In 2013, Neustupný received the Order of the Rising Sun. 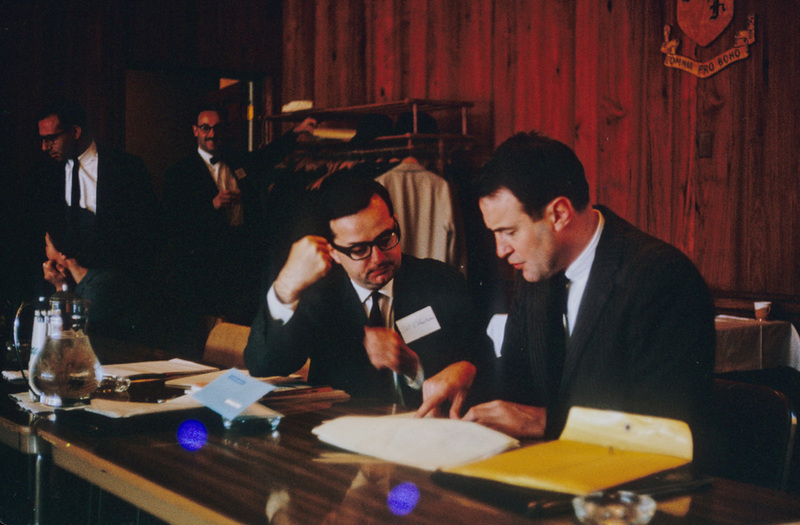 The arrivals of J. V. Neustupný and Björn Jernudd at Monash as announced in Monash Reporter, 1966, vol. III, no. 20 (pp. 2 & 3). Hidehiro Muraoka's memories "A scholar’s mind, an artist’s sense"
For more biographical details on Jiří V. Neustupný see "The portrait of a young linguist at the age of 65" by Mrs. Reiko Neustupný. 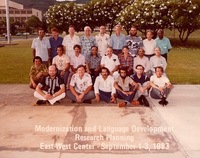 Back row from left: Francis Mangubhai, Terry Crowley, Richard Baldauf, John DeFrancis, Paul Brennan, Björn Jernudd, John Lynch, Hoang Tue, E. Annamalai. 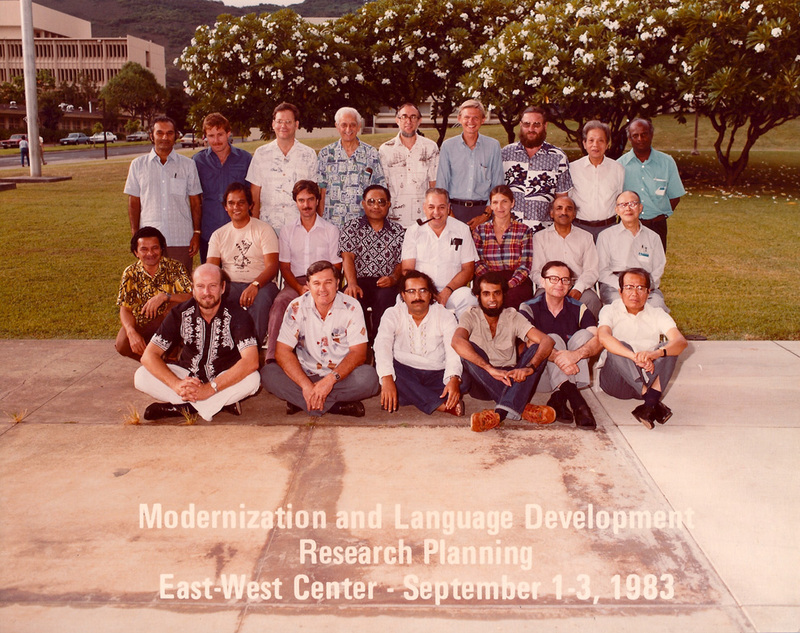 Mid row from left: Patrick Hohepa (kneeling), Robert Underwood, David Cressy, Anton Moeliono, Robert Kaplan, Bobbie Nelson, D. P. Pattanayak, Zhou Youguang.